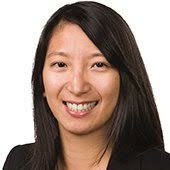 Jai is a Senior Associate at Chapman Tripp, a leading full-service law firm in New Zealand. Jai obtained trans-Tasman experience in Big Four accounting firms, covering Australian and New Zealand tax matters. She specialises in structuring, mergers and acquisitions, cross-border investments and tax disputes. Jai was admitted as a Barrister and Solicitor in New Zealand in 2007 and became a Chartered Accountant in 2009. She graduated from the University of Otago, where she earned her Bachelor of Commerce in Accounting and Bachelor of Law degrees.